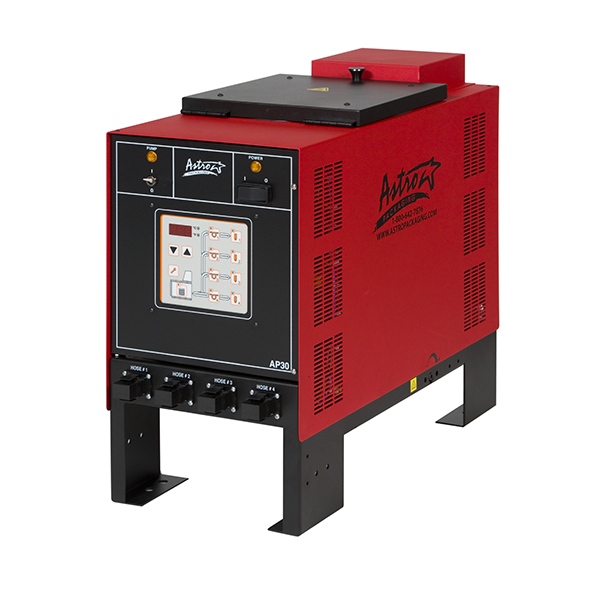 Drop-in replacement for Nordson® hot melt units. Comparable to the Nordson® Problue 15. Accepts existing Nordson® hoses and applicators. 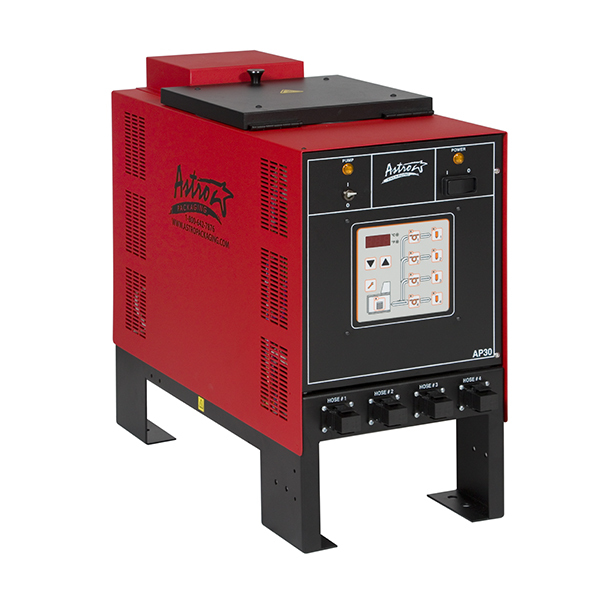 The AP30 Melt Unit is ruggedly designed for a wide range of adhesive and sealant applications. 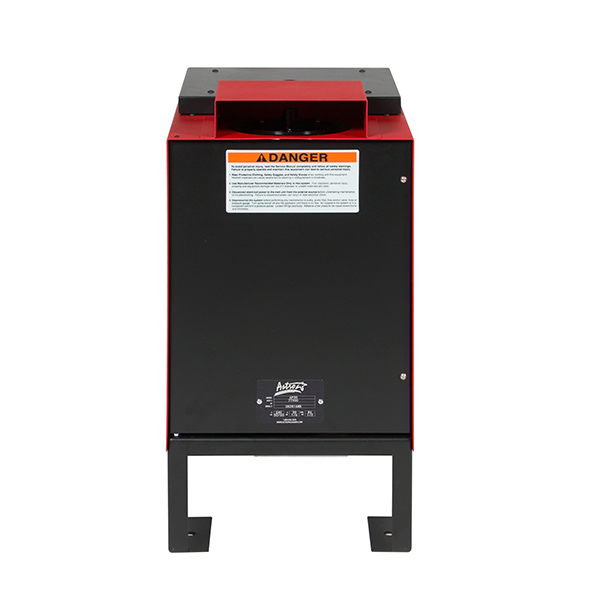 With a capacity of 30LB (13.6kg) of hot melt in pillow, pellet slab or bulk form, the melt unit concentrates heat at the tank bottom, while maintaining cooler temperatures at the top. 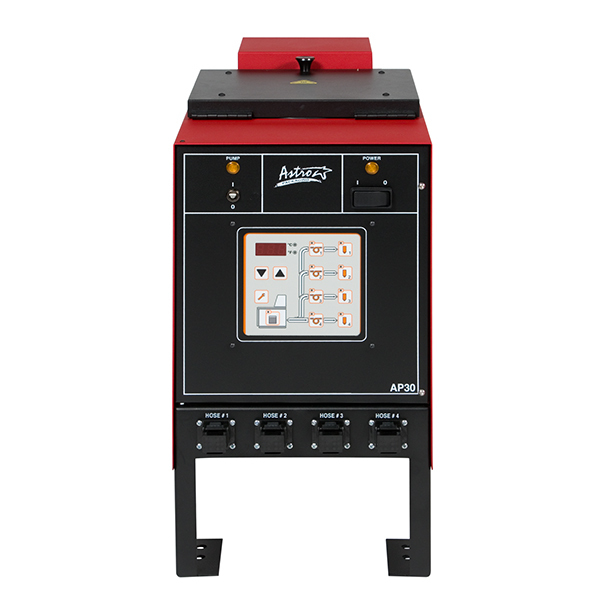 This performance characteristic minimizes adhesive degradation, charring and foreign matter accumulation. 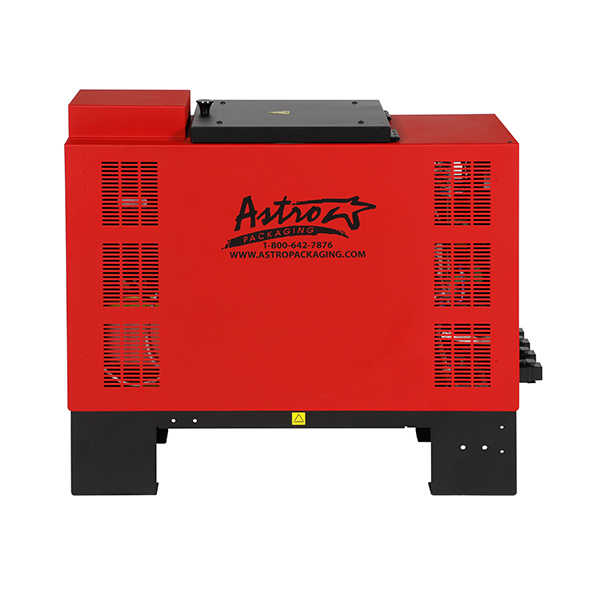 The AP30 features a fixed or variable AC motor that drives a positive displacement gear pump. 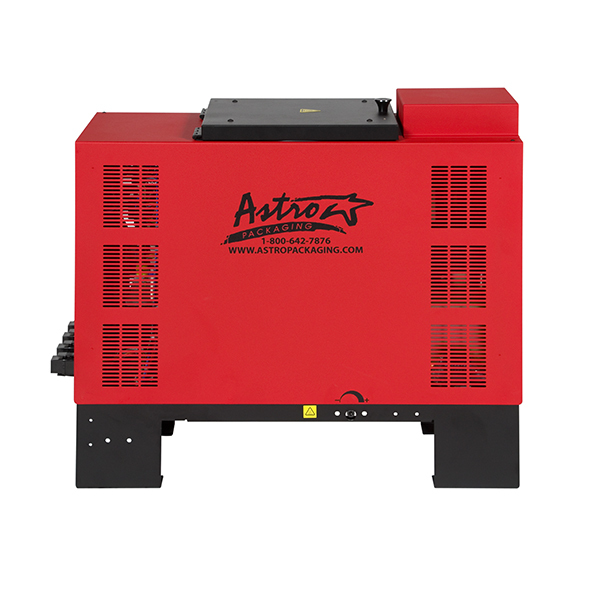 An easy to adjust flow control allows for adjustment of pump pressure.